It’s hard for me to tell what I like best about this photograph. 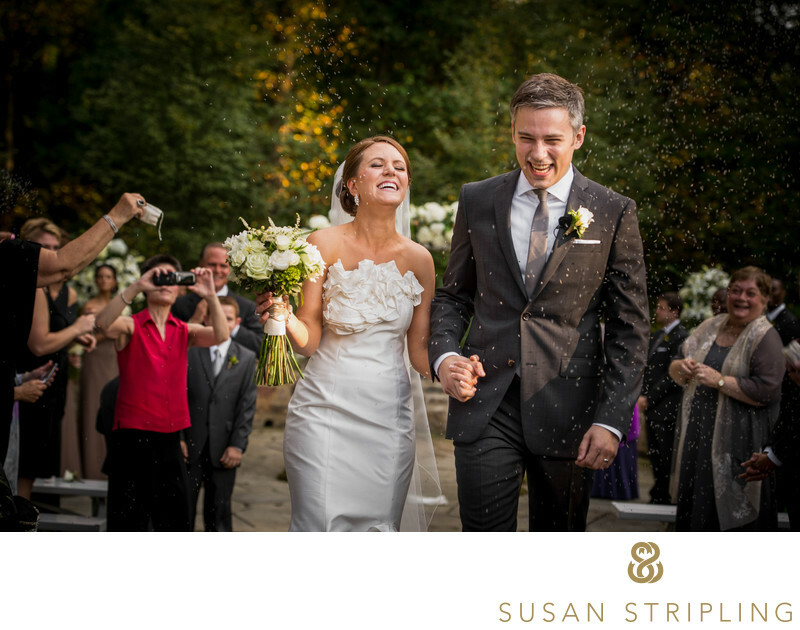 It's one of my favorites from this gorgeous Sweetwater Farm wedding, and it makes me smile every time I see it! 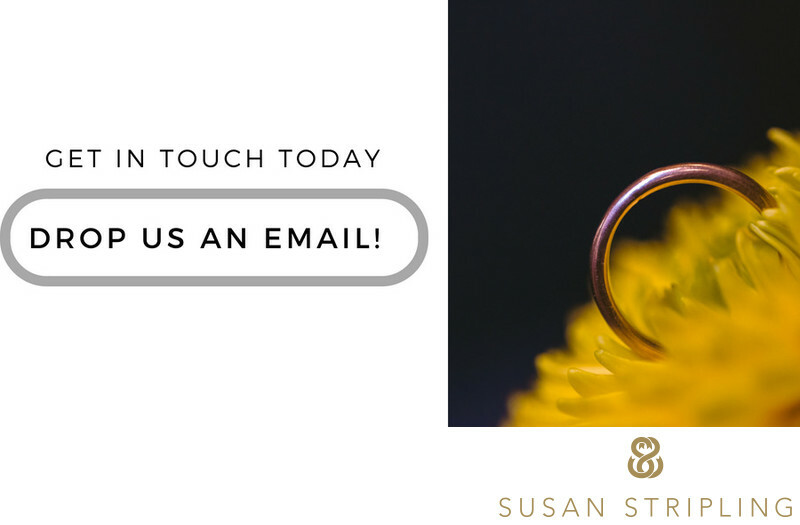 I've had engaged couples tell me the same - in fact, that's a phrase I hear a lot from prospective clients! "I find myself smiling at pictures of people I don't even know!" What makes this image special? What makes you pause on it, put it on the cover of an album, love it so? Perhaps it’s the fantastic ruffle on the bride’s Romona Keveza dress, purchased at the wonderful Wedding Shoppe in Wayne, Pennsylvania. Maybe it’s the bride’s gorgeous Country Florist bouquet. It could also be the lavender, thrown during the wedding ceremony recessional from custom kraft bags, hand-stamped by the bride. While I think all of these elements absolutely contribute to the final image, it’s the expressions on the faces of the bride and groom that really make the moment. The moments immediately following the ceremony are always so emotionally charged that I stay with them, documenting the interactions as they unfold. Directly following this wedding recessional we regrouped for the formal family photographs, then moved into the beautiful sunset for some more images of the bride and groom together. 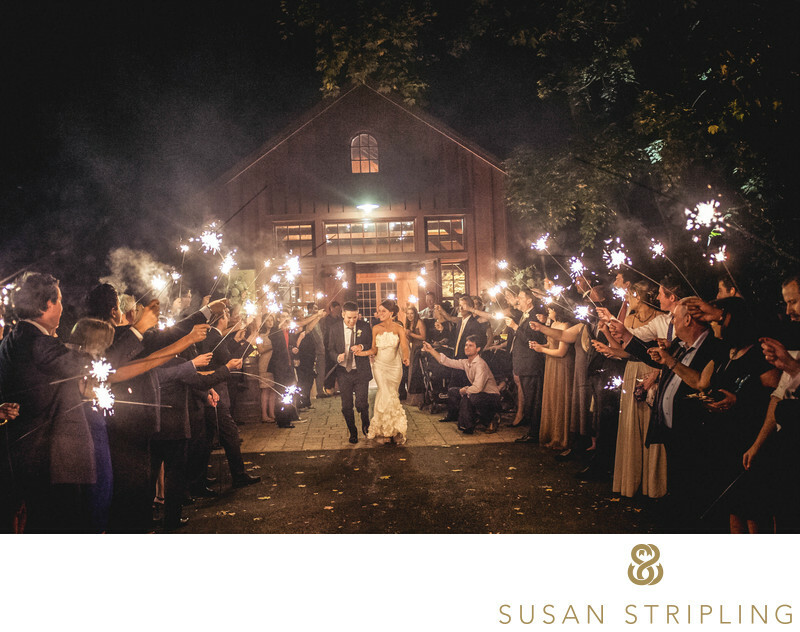 This wedding also ended with another recessional - this time through an arch of sparklers! Every wedding is different, and has a different timeline. Will you take your portraits before the ceremony? Will you wait to see each other in the aisle? Will you throw lavender? Will you steal away for private time alone after the ceremony? I'd love to hear about the details of YOUR day, and how it will be uniquely, completely YOU. Keywords: Glen Mills (15), Grace Winery (15), Sweetwater Farm (15). 1/400; f/4.0; ISO 560; 90.0 mm.